The core vision of Kingdom Driven Ministries is the Great Commission: making disciples and teaching them to obey all that Christ commanded. A part of that vision is, of course, empowering women through discipleship and mentoring. Our main focus is to see that women in our fellowships and community are not neglected nor left behind in their spiritual development or in the work of Kingdom expansion. As in every community, women play a central role in shaping society, and their impact is no less felt in the church body. 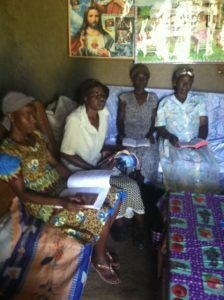 In the initial stages of discipleship, it was not an easy task to gather women for ongoing meetings. 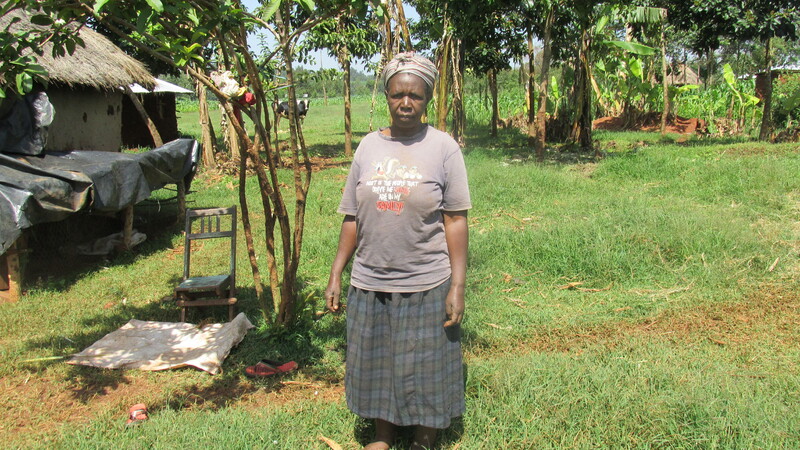 Most women are necessarily preoccupied with the everyday tasks that demand their attention: gathering water and firewood, making meals, caring for children, and oftentimes doing the work of a small business. Nevertheless, we thank God for enabling us to mentor those who He brought our way. 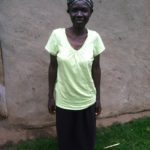 Despite their small number, we have found consistency in their commitment to weekly Bible study, prayer, and fellowship, and for that we cannot help but praise God. In these Tuesday Mama’s meetings, they typically discuss one lesson from the Bible, using our guide book, the Discovery Bible Study. This involves a time of sharing prayer needs and praying corporately for one another and for needs in the community. Another thing that they strive to do in these meetings is to meet one another’s needs when possible. They have resolved to walk with something little, in case one of them is in want of daily necessity. In this way everyone is prepared to contribute to solving the need; indeed it is a pleasant to behold this concern for one another. These weekly meetings rotate from house to house each week. 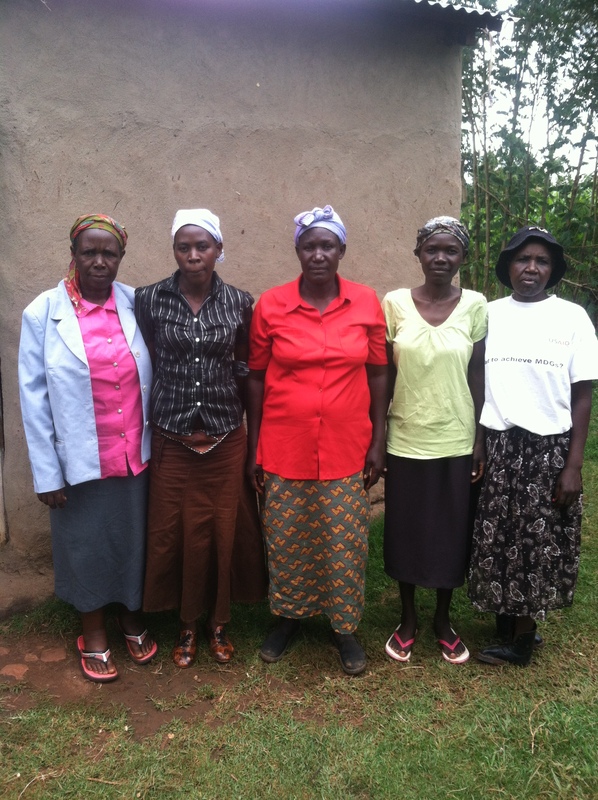 Among the few mamas who have committed themselves to this band of women are Judith, Mary Stella, Annet, Mary and Maureen. It’s our prayer that they will grow strong in the way of the Kingdom and bear much fruits. 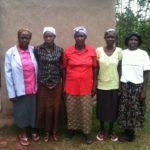 Please think of these Kenyan women in your prayers as they strive to walk in the light and truth of the gospel of Christ Jesus, our Lord and King. For those women who have not been able to regularly attend weekly meetings due to the burden of daily responsibilities, we have hosted an annual “Mama’s Meeting,” where all the women from our dozen or so satellite fellowships gather at the “mother church” for day-long teaching and, of course, a good lunch. There, they received teachings pertinent to women, wives and mothers as well as a call to take responsibility for their ongoing personal discipleship in Christ. 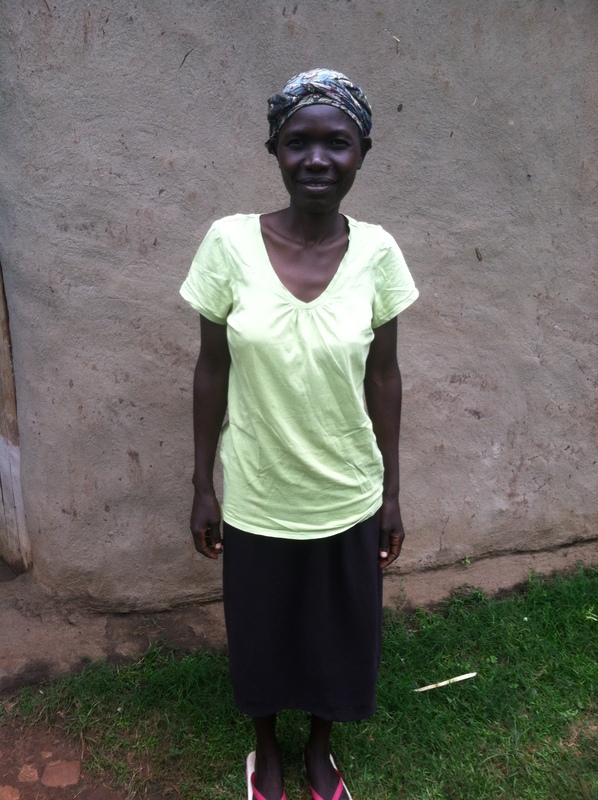 They were also encouraged to meet as often as possible with other Mamas in their area. 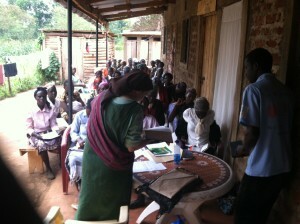 Mary Stella, who has been faithfully facilitating these weekly studies for almost a year now. 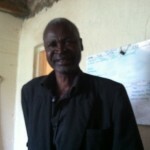 During the month of June, our main teachers and evangelists, Lazarus and Wafula, have been actively engaged in sharing the gospel with the lost, leading them to repentance, baptizing those who surrendered, encouraging many of our existing churches, organizing church meetings and laying strategies of planting more churches in different villages of East Africa, especially Kenya and Uganda. 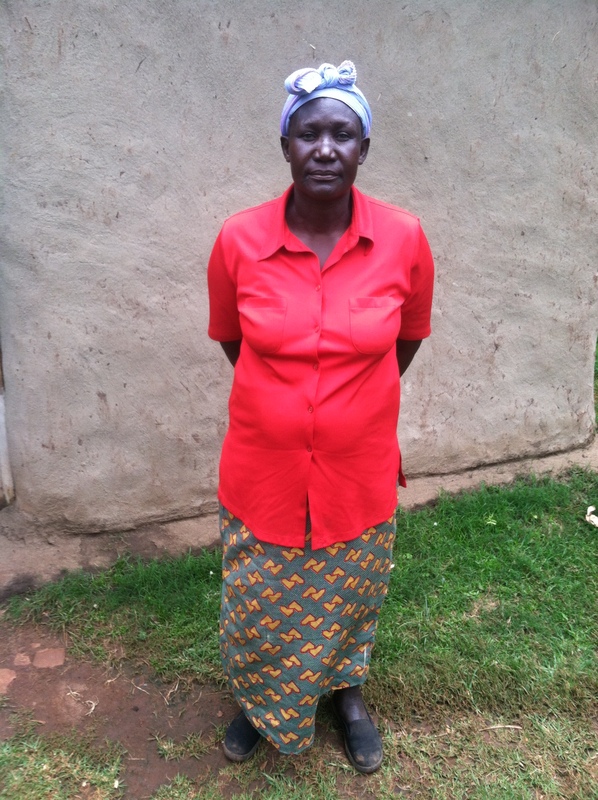 Both Lazarus and Wafula have been attending weekly wazee (church elders) meetings every Tuesday. Following that meeting, they participate in a leadership meeting of a handful of wazee who are being trained as indigenous leaders for our church network. The two men actively oversee our churches, participate in solving problems, and encourage their brethren with the Word of God. Through their weekly Discovery Bible Studies with the wazee, they have been able to identify men who are capable of sharing the Gospel with others and setthem apart for more training on evangelism and church planting. 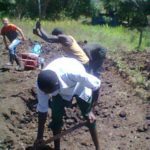 On their separate missions, Lazarus has been preaching at different places in town and the villages in our county, as well as West Pokot county here in Kenya. He has also recently started a discipleship program with football players whom he used to coach before he surrendered to Christ; we are looking forward to reaping a harvest from these young people, and we pray that the Lord will strengthen him more in this ministry. 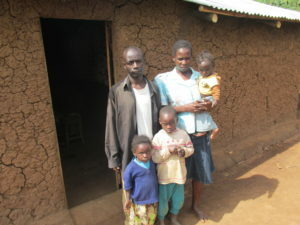 Lazarus and his wife, together, have been sharing the Gospel with different families in different places. During the month of June, they visited more than five families, looking for “men of peace” with the aim of planting new house churches. They have established strong rapport with the families and will continue to minister to them in coming months. Also brother Lazarus went for a mission trip to Uganda for about a week, to strengthen and encourage the saints in the church plant that has blossomed in recent months. 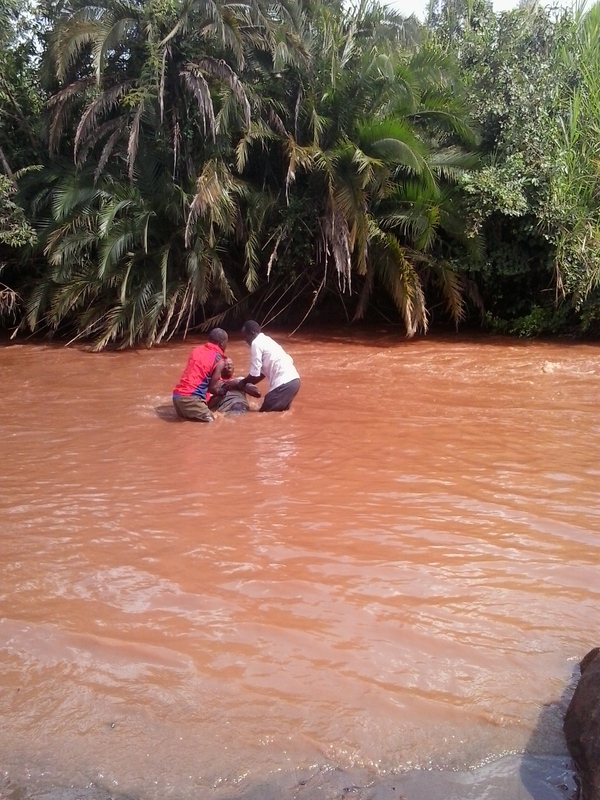 While there, he shared the Gospel with people of a new village near Lake Victoria, where he baptized one man by the name of Patrick. He also visited the saints in two other villages and encouraged them to hold firm to the faith and the cross. 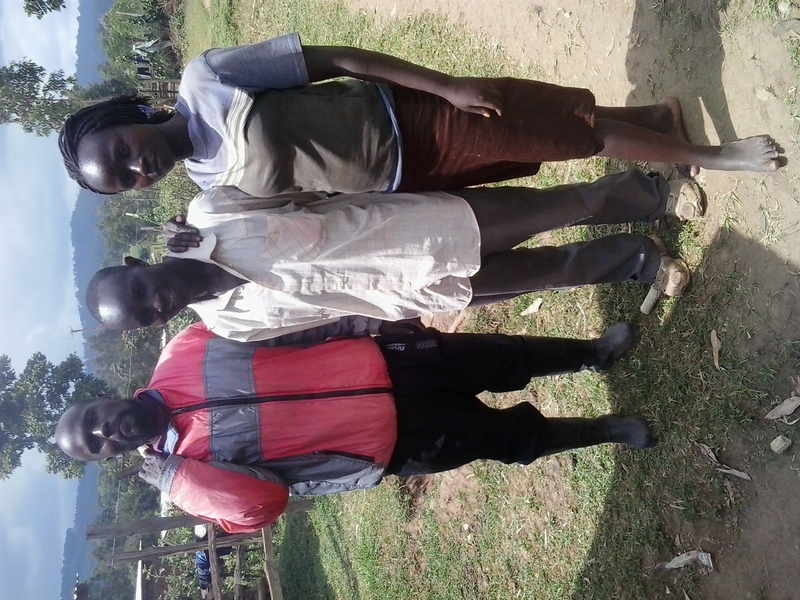 On the other hand, brother Wafula has been laboring in training more evangelists by taking them out for field work and showing them how to go through this ministry of evangelism. Among those disciples that he took to the field to train on two-by-two evangelism were Silas and Mzee Maurice (from our local fellowship). We are so glad to report that they, too, have been successful in the ministry and a couple of new saints have been baptized and added to the flock of Christ as a result of their efforts. Wafula, being a former imam, had resolved to minister to the Islamic community, especially starting with his own household. This month he had been sharing the Gospel with his father and encouraging his mother in the faith (she was recently baptized with permission from his father). 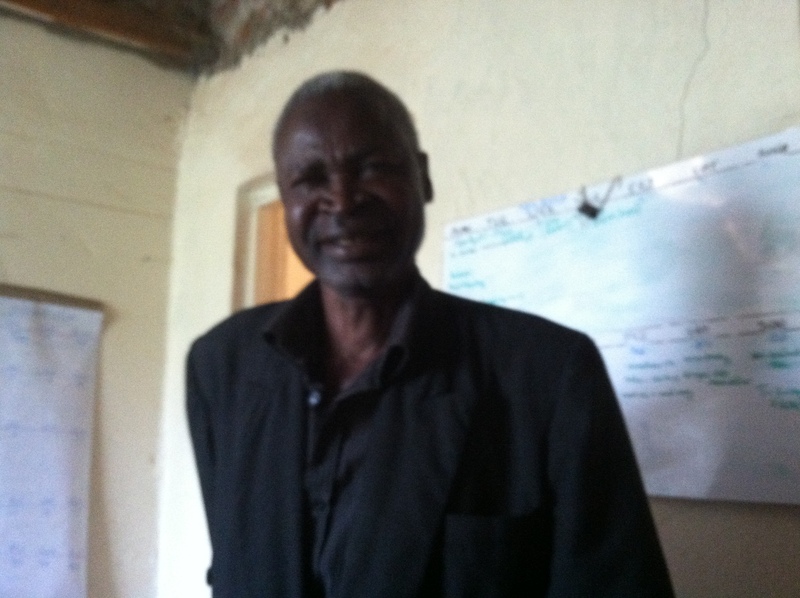 Wafula’s father testified at the wazee meeting that he visited, that he is ready to repent and surrender to Christ; however, his is a polygamous man with three wives and understands that repentance involves becoming the husband of his first wife only. He asked for some time to put his household in order: finding places for the other two women and figuring out the logistics for their continued provision. We pray and hope that the Spirit of truth will convict him and lead him in the way he should go. Please pray with us! 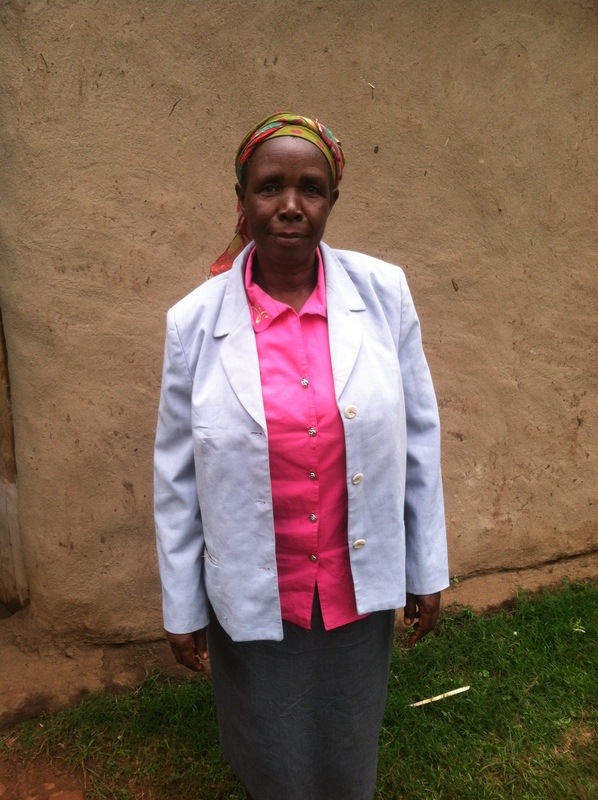 Wafula has also been active in organizing and coordinating church meetings and helping in church discipline affairs. Visiting churches and the sick in the fellowships has been part of his routine this month. Please pray earnestly with us that the Lord will continue to strengthen and empower His servants for the glory of His kingdom. A cobbler, or shoe repair person, was once not an uncommon sight in America and other developed nations. Nowadays, however, it’s oftentimes cheaper to buy a new pair of shoes than fix an old pair, if it’s even possible to get old shoes fixed. 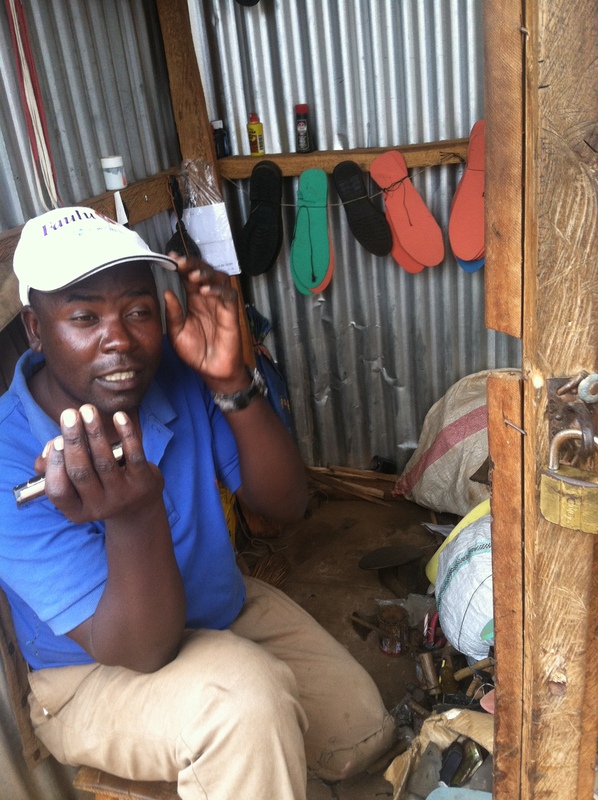 Yet in developing nations like Kenya, shoe repair is still one of the most vital of crafts. This skill was first introduced by Asians who were employed by the British administration, to make and repair the colonial officer’s shoes. It was not until the Asians were deployed for the task of constructing the East Africa Railway line that the natives of East Africa were trained in the craft of shoe making and repairing. Over the years this craft has been growing incrementally in different parts of the region, attracting many people to it–often, those without school education who would benefit from learning a skill through apprenticeship. During the infancy stage of the shoe repairing industry, many people looked down on it and named it, “the work for the disabled and handicapped folks.” This was because of its simplicity and stationary nature. 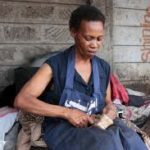 But this perspective has changed due to inadequate employment opportunities, thus forcing even those with education and physical ability to plunge into shoe making industry. 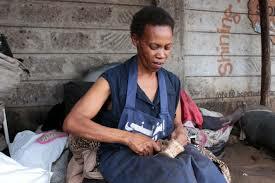 The craft of shoe making and repairing is one of the easiest skills that can be learned and mastered. It is also one of the cheapest as far as startup and material costs. Because this craft is not being taught in public school, the only way of learning is through apprenticeship or personal training. Experts in making and repairing shoes are often employed in big shoe stores in major cities. The shoe stores are typically owned by the Asian people who started the industry in the region. Those who are fortunate enough to find job in the major stores will earn higher wages compared to those who are self-employed. 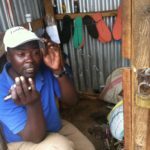 Most of the small shoe repair shops are found in highly populated regions, where they can have contact with many customers. Perfect regions for this industry are slums and small towns. However, it is also a successful niche in villages, where people cannot afford to buy new shoes when theirs are worn out or broken. Repairing a broken shoe is more affordable than buying a new one. 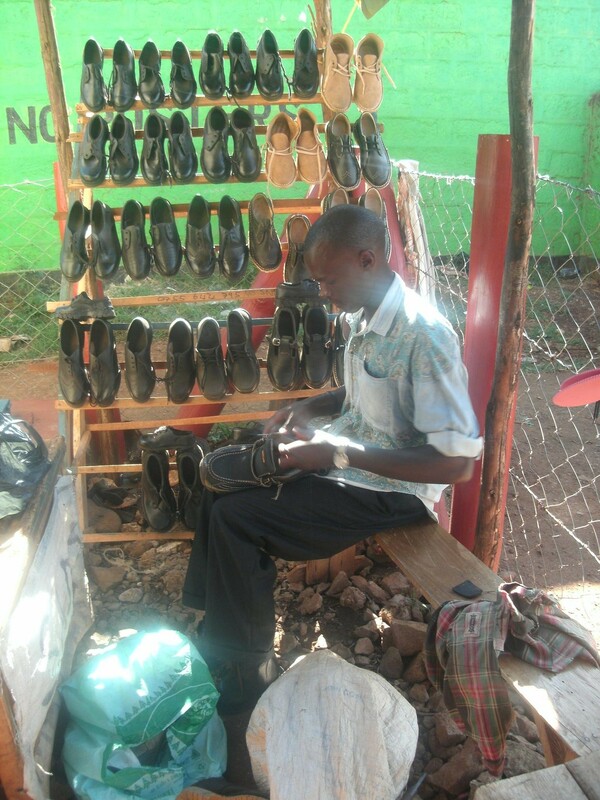 Often the charge of repairing a shoe is not more than 20-50 KSH (20 to 50 cents), compared to maybe 1000 shillings for buying a nice pair of work or school shoes. 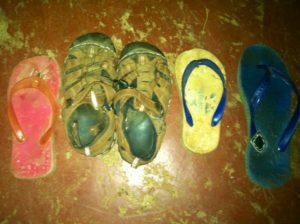 But even flipflops, which might cost $1, are worth repairing here! A collection of flip flops and sandals, all repaired for less than $1. 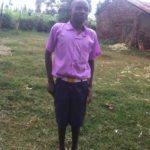 We would love to share this brief medical update with all of you who are supporting Micah Juma, through prayers and financial assistance, since his surgery to repair a leg badly broken from a road accident. 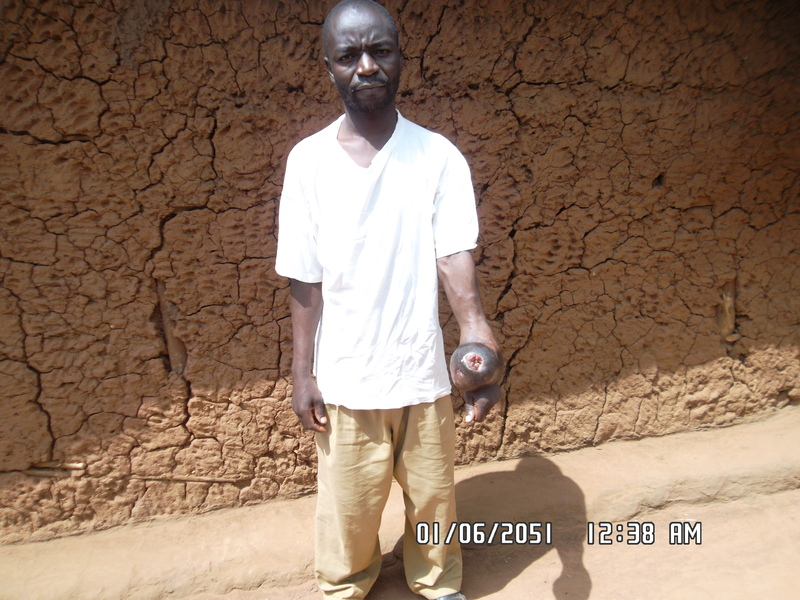 Already more than a month has gone by since he was readmitted at Webuye County Hospital for the initial surgery. However, it was only a few days after the surgery that it was reported to us that he was experiencing some minor pain which turned out to be an infection that was oozing blood and pus. We took him back to the hospital for re-examination. After the test, it was found that the infection was caused by a piece of rotten flesh, which had accumulated near the broken tibia after five years without any medical attention. 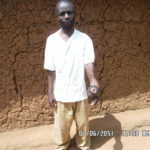 Early in June another minor surgery was undertaken in order to remove the infected flesh, and Micah was put on a course of antibiotics as well. The area of the infection has still not healed sufficiently that the doctors feel comfortable for him to be discharged.This is an unexpected development, but we trust in God’s faithfulness as we press forward with Micah’s treatment. Hospitals here in Kenya are somewhat different than those in the West, in that patients do not receive all their care from hospital staff. When someone is admitted to a hospital, a family member generally accompanies the patient to make sure that they have daily meals as well as help with basic care if they cannot perform these tasks on their own. In Micah’s case, his father has faithfully been staying with him and managing such things; however, as you can imagine, this has been a long month for both of them. The good news is that, during this unexpectedly long hospital stay, Micah also begun physical therapy to help in restoring the muscle strength and flexibility as the leg heals. 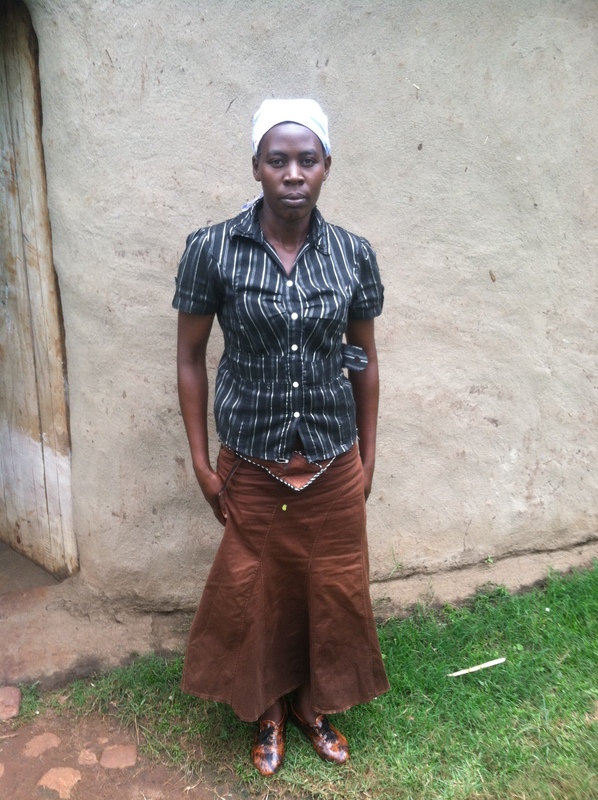 We also thank the Lord for opening doors to share the Gospel of the Kingdom with Micah. In our last visit to the hospital, we sent two brothers who went and planted the seed of the Kingdom; as we continue to pray for his healing, let us also remember to pray for that seed to grow and bear fruit. Kingdom Driven Ministries extends our deepest gratitude to all those who have helped us to keep the embers of compassion burning and have enabled us to assist those with medical needs in our community. In the month of June, the number of those who came seeking medical assistance was, perhaps, not as overwhelming as usual, but we were pleased to serve those whom the Lord brought to us. 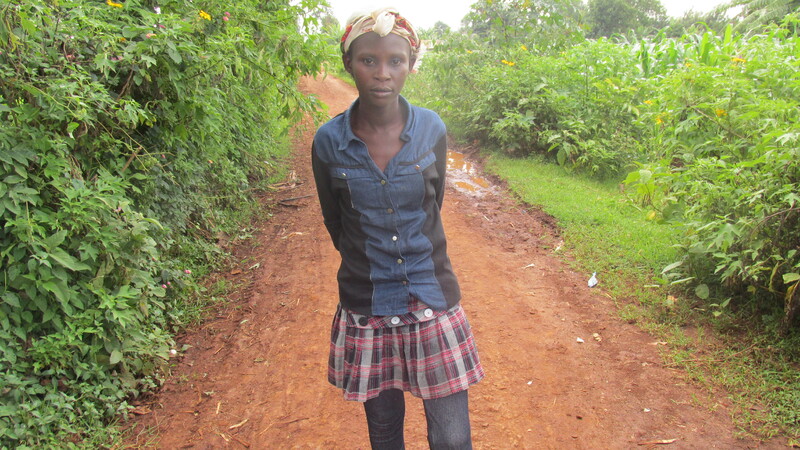 The majority of our patients this month were those who dealt with typical illnesses but were without financial means to seek medical care: malaria, typhoid, flus and colds, severe headaches, and gastrointestinal issues in particular. 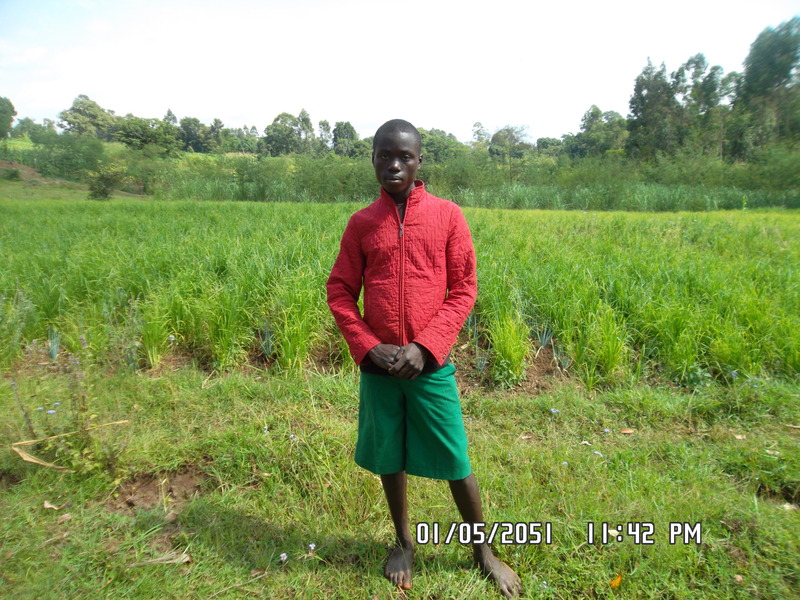 We also met this young boy, Maxwell Wanjala. 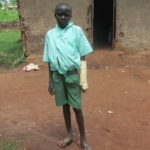 Maxwell is 14 years old and a grade 5 student of a nearby school who was involved in a road accident. 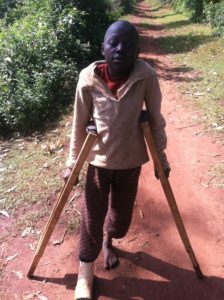 This tragedy occurred while he was coming from the forest to fetch firewood, as he lives without a mother, who would normally perform this task.. Maxwell broke two lower joints of his right leg, leaving him in a critical condition. We thank God for the presence of good Samaritans who rushed him to our Mzee Timothy at the Kingdom Driven office, where he was assisted with first aid and then brought to the hospital for treatment. There we were told that the accident had caused a transverse fracture of the bone, which called for a surgical repair known as reduction. 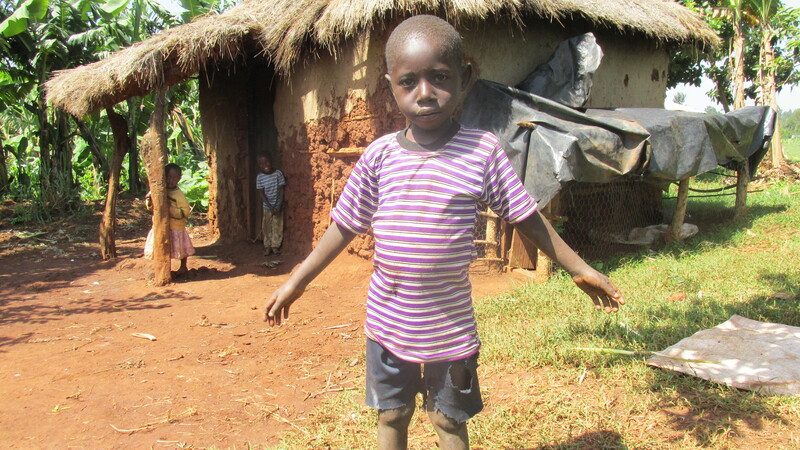 Join us in praying for Maxwell’s quick healing, that he will be back on his feet soon. We also encountered several toddlers with different health problems. 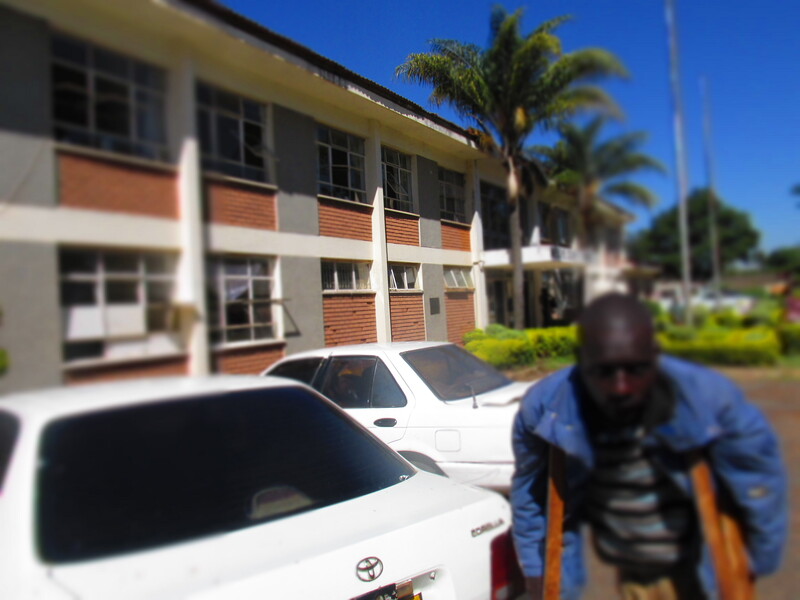 One case that stood out was that of Hamilton Wafula, who had been suffering with a painful conjunctivitis (“pink eye”). 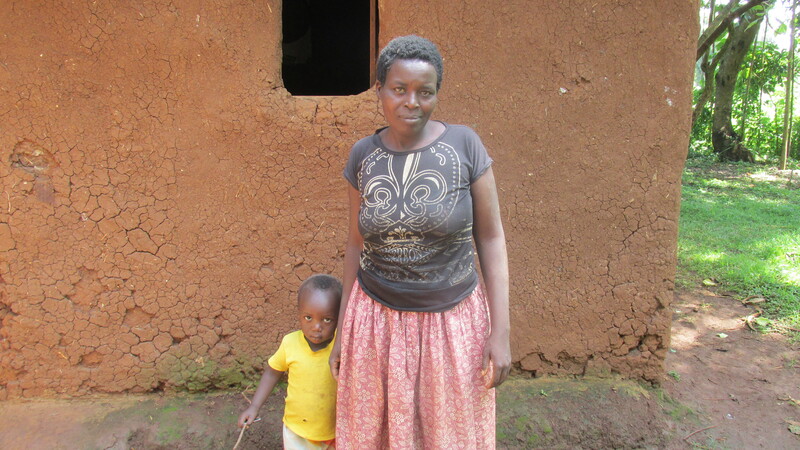 The young mother was ignorant of the sickness and was worried to death about her little one, truly imagining that the child would become permanently blind. We thank God for the knowledge that allowed us to treat this common childhood illness for little Hamilton and ease his mother’s anxiety. As usual, we encountered several cases of people ailing from malaria and typhoid who came seeking for assistance. Before sending them to Solonamu Medical Centre, our church deacon Mzee Timothy examined and questioned them, in order to find out if they are using their mosquito nets which will help to prevent the wide spread of malaria. He is also encouraging people in the community to utilize the water well on the KDM premises for clean drinking water. 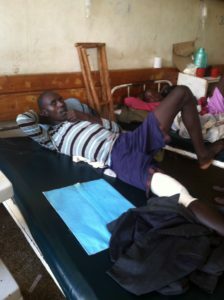 To his surprise, some of the patients are not in the habit of utilizing their nets nor the clean water well provided. Even more, many didn’t realize that they themselves could prevent the spread of these diseases by becoming more cautious with their health and environment. We thank God for the initiative and caring of our Mzee, to help educate folks in our community and perhaps reduce the amount of illness and the necessary medical treatments. 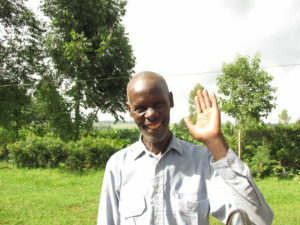 Mzee Timothy is a retired school master, and thus he rather enjoys employing these skills in his service for the Kingdom of God in our village community. 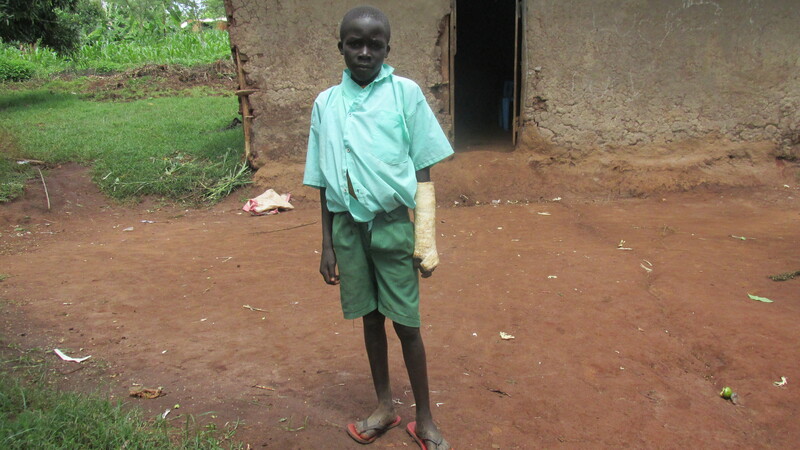 We also like to report of the progress of our long-term patient, Micah Juma, who had surgery on a broken leg and then suffered from post-operative infection. He has remained under treatment at the hospital for many long weeks now. 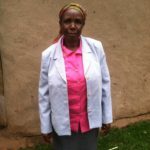 Here in Kenya, an admitted patient is not completely under the care of hospital staff for basic needs; his father has been faithfully staying with him to give him companionship and assist in getting him food and meet other pressing needs he may have. I’m sure they will both appreciate your prayers for complete healing and discharge from the hospital. Thank you all who are supporting him. We also recently introduced to you the youth Ferdinand, who was ailing with varicose veins. We thank the Lord for standing with us and providing for his scheduled surgery. The surgery was undertaken last week on Wednesday, and he was finally discharged on Friday. Currently, he is under recovery at home. The area of the surgery in his leg is still very painful, so please pray for his perseverance and comfort as well as full recovery so that he can pick up with his peers in school. 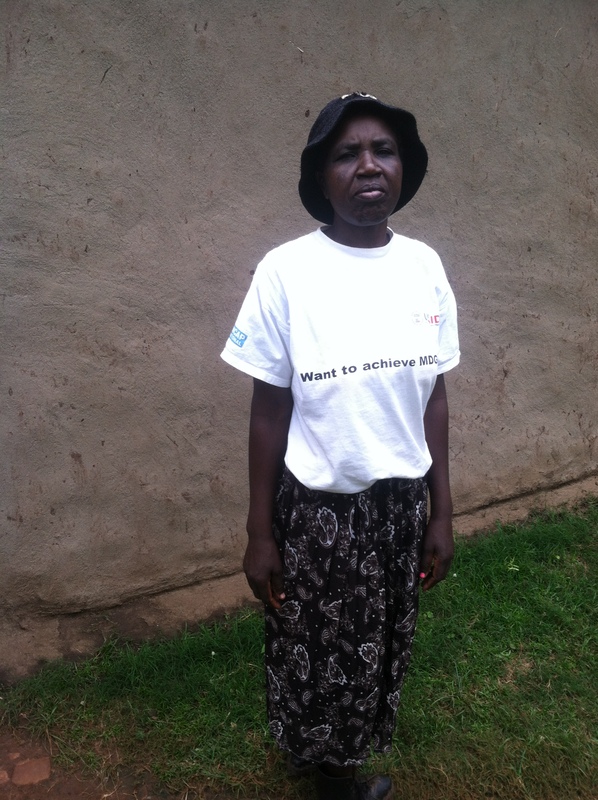 Our total expenditures for emergency and acute medical needs were just over $400. Special medical cases, such as Ferdinand and Micah, were just over $300 this month. Thank you all for your care, prayers, and financial contributions that allow KDM to assist with the many pressing medical needs in our community and our network of church fellowships. After a recent third visit to the hospital for examination concerning the growths on Anthony Mirundu’s wrist, we are very glad to inform you that, though the growths are cancerous, the cancer has not yet metastasized and remains localized in the wrist area. This was somewhat unexpected, as he has been nursing the swollen wrist since late 2011. Thank you all who kept him in prayers! After extensive scanning and consult with the surgeon, the recommendation was for an amputation at the elbow as the best and only option. While we are happy to have this option available to halt the spread of the cancer, of course this will be a significant change for Anthony, who is the sole provider for his wife and three young children. 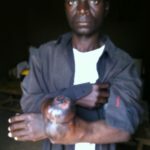 Even so, Anthony has agreed that the amputation is a must and it is scheduled for July 13. Thus far, however, the funds which have been earmarked to Anthony from your generous donations were only enough to make an initial diagnosis and recommendation for treatment. 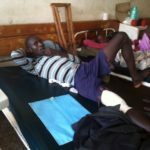 We have no funding available to go forward in meeting the amputation and follow up examination expenses. According to best estimates, the whole process will cost at least $200. Also, a new urgent medical need has been brought to our attention, the case of Ferdinand. He is the young brother of our “man of peace,” Silas, a dear brother in the Lord. (As the oldest in his family, Silas has taken responsibility for caring for his Mom and siblings on the family shamba; his father died when Silas was just a boy.) 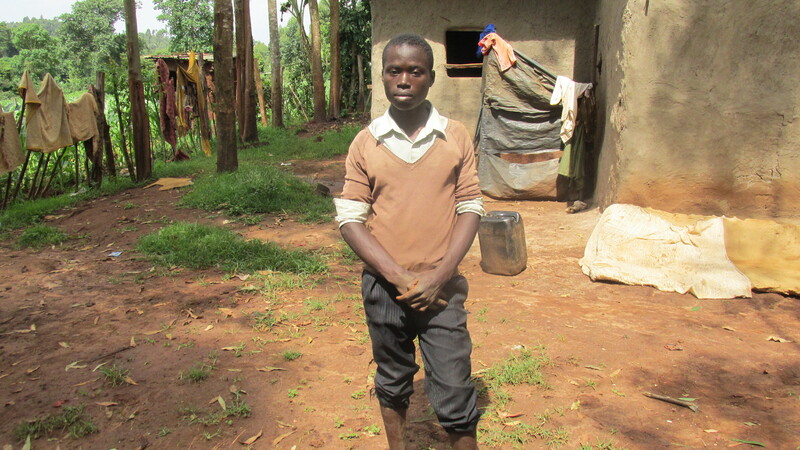 We sent Ferdinand to our local clinic last month for an examination of his leg; it looked like varicose veins but because of his youth (he is only 15) we were skeptical that this would be the case. 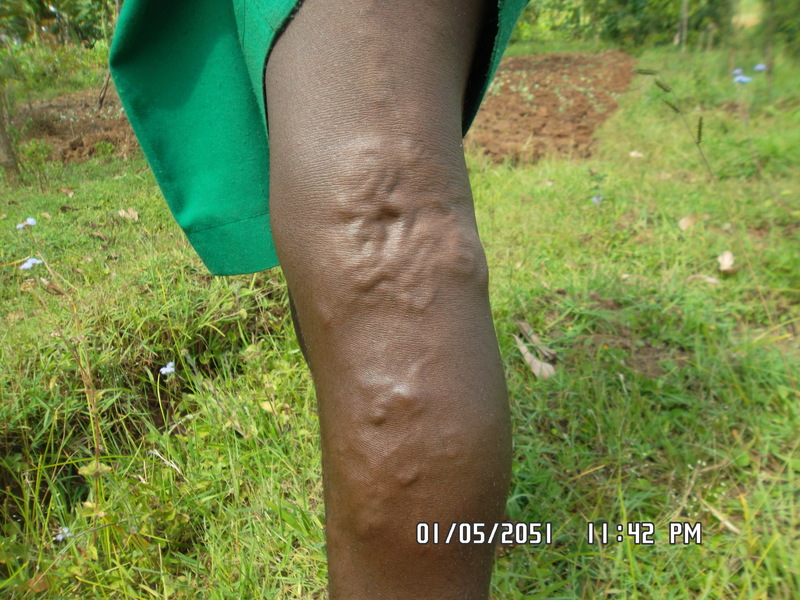 He was referred to the District Hospital, where it was, indeed, confirmed to be a case of severe varicose veins. Ferdinand has been suffering from this condition for the last four years, and reports that he is at the point of feeling ongoing discomfort and pain when he lays down to sleep at night. There are several methods of treating varicose veins, including injection therapy and surgery. Injection therapy is mainly used to treat small varicose veins below the knee, and surgery is often performed to treat larger veins. Due to Ferdinand’s age and the progression and pain involved with the deteriorating veins, the recommendation is for a ligation surgery. Essentially, they will make small incisions in the skin and cut and tie off veins that are not functioning. Since these veins are on the surface of the skin, once the dilation is done, the blood will begin to find new routes along deeper veins. This surgery has a high rate of effectiveness and is done on an out-patient basis. 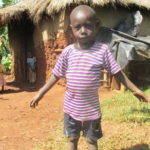 This will be adrastic change Ferdinand, and we rejoice that we would be able to offer him this opportunity! Up until now, Ferdinand’s care has come out of our regular medical budget, but now with a surgery recommended, we must request special funding to proceed. The procedure has already been scheduled for June 22, so we are looking for willing donors to fund the approximately $200 that will be needed. 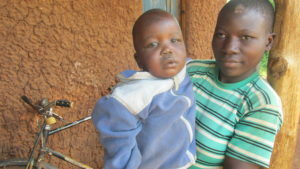 Join with us in changing lives–the young man Anthony, who will have a new lease on life with his wife and young children with the removal of his cancerous tumor, and the youth Ferdinand, who can experience healing of his painful veins! Either need can be met by giving at www.kingdomdriven.org/donate. You can earmark to urgent needs/medical and there is a place to note at checkout if you would like to give for Anthony or Ferdinand, if you would like. Kenya is a multi-ethnic state in the East Africa region. It is primarily inhabited by the Bantu and Nilotic population, with some Cushite people. Bantu are the single largest population in Kenya. The term Bantu first originated from the Western Africa, Niger-Congo language. 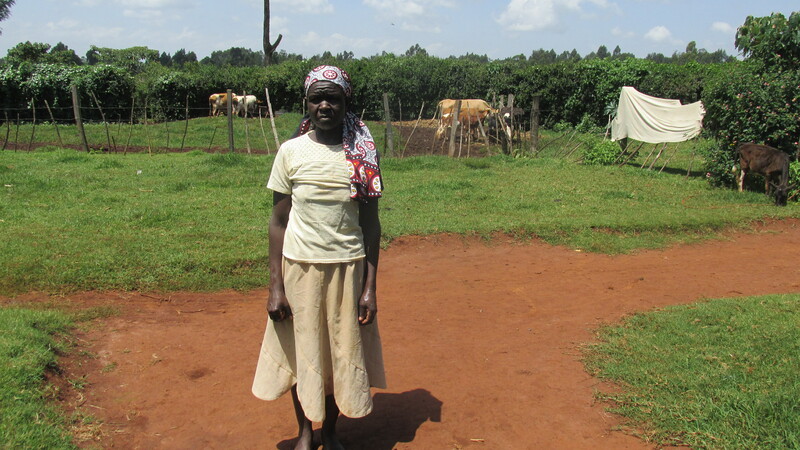 Most Bantu people are farmers; they are scattered in different regions of Kenya. Most are found in Central Kenya, western Kenya and Rift Valley. Some of the prominent Bantu groups in Kenya include the Kikuyu, the Luhya, the Meru, the Mijikenda and the Kisii. The Swahili-speaking people are descended from Mijikenda that intermarried with Arab and Persian migrants. 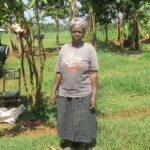 Today I want to introduce you to the Luhya people, as we are working and serving in the midst of the Luhya tribe. Our center of operation is in Luhya land, therefore it’s our highest joy to share something brief about our host people. Luhya are the second largest ethnic group in Kenya. 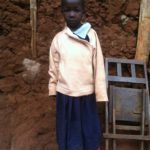 They number about 5.3 million people, being about 16% of Kenya population. 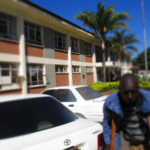 The name Luhya refers to both the people and their language. There are seventeen tribes within the Luhya people. 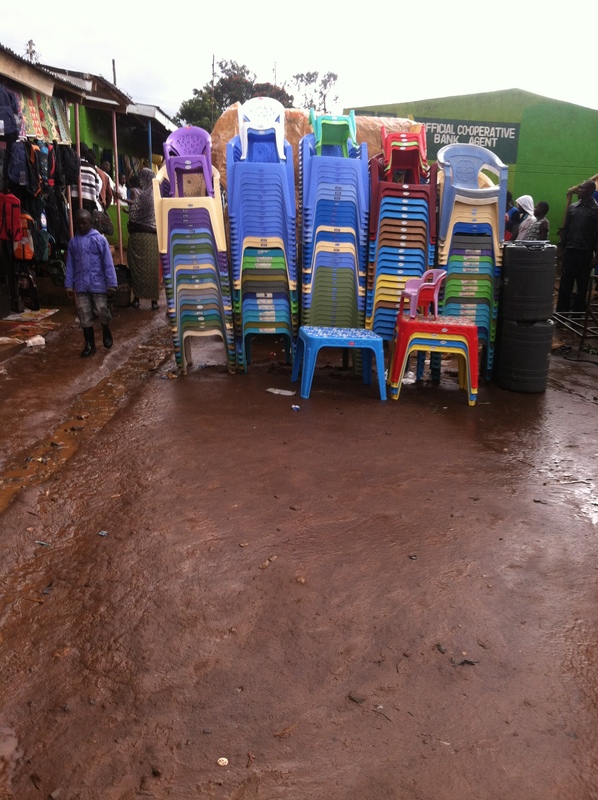 These are Bukusu, Idakho, Isukha, Kabras, Khayo, Samia, Kisa, Marachi, Maragoli, Marama, Nyala, Nyole, Tachoni, Tiriki, Tsotso, Wanga and Batura. 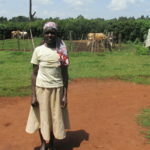 Among the Luhya community, Bukusu and Maragoli are the largest and perhaps most organized tribes. Wazungu (white people) from England were among the first visitors to set foot in Bukusu land. Most of them were explorers, missionaries of different sects, geographers, scientists, farmers, and administrators. They were brought by water steamers through the port of Mombasa as an entry point. They introduced what we call the scramble of colonization through treaties with local chiefs. 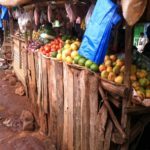 This was just the beginning of Bukusu exposure to the external world. Joseph Thompson was the first explorer to walk in Bukusu land on foot, back in 1840. Men received him as river god, from whence the Swahili name Mzungu was derived. But still some Bukusu men did not accept them to pass through their land. 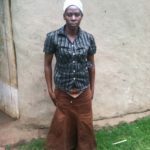 Bukusu clans have spread all over Western Kenya, Trans-Nzoia and North Rift regions. The Bukusu clan history is documented from about 1650 AD, through their known prophets and seers. These men prophesied that there should come white-garmented people in big baskets that would swallow people and vomit them at their appropriate destinations. This is assumed to be about about vehicles. They talked again about the butterflies carrying people in wings, which would of course be airplanes. They talked about long snakes coming, which was viewed as the railway line that later came through. Before the Mzungu settlers came, Bukusu people were living on the slopes of Mt. 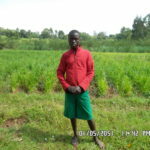 Elgon and other fertile places. Naturally they were small scale farmers, growing traditional crops such as millet. 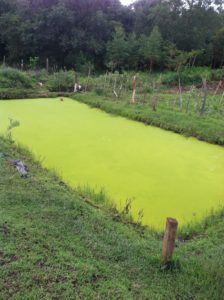 After harvesting, they used it to brew their own beer, busela, and could entertain themselves in the cool of the evening. 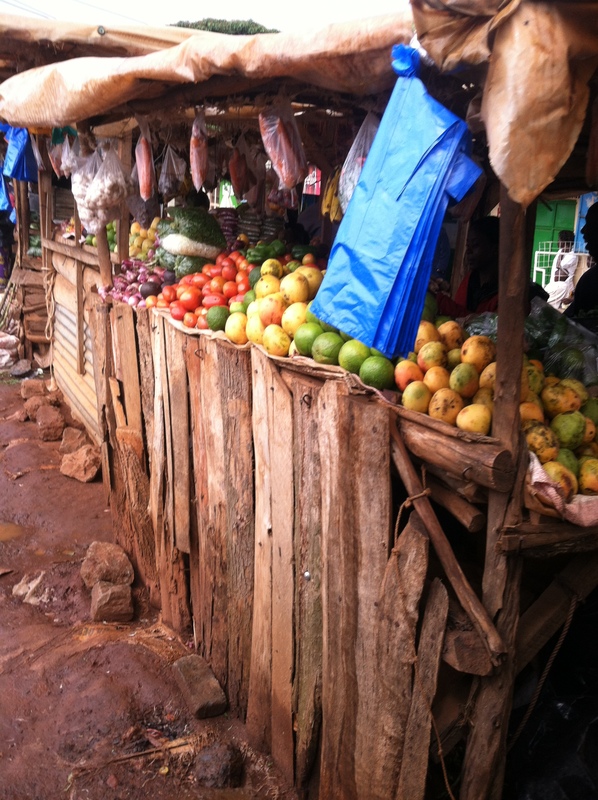 The mountain of Elgon forests gave fruits, birds, and honey. The natives hung their beehives, known as Kimisinga, making traditional medicines to soothe throats caused by common colds. Kamalea was harvested from the shoots of young bamboo stems and pounded together with groundnuts in a mortar. 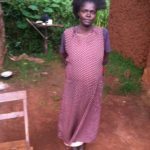 Bukusu are also known for their very unusual male circumcisions practices, though they don’t practice female circumcision as some other tribes do. In these practices, boys of the age 8-15 are gathered from different families at every even year. The festivals are always full of vigorous dancing and partying, at least for a week’s time. When the final day arrives, all the boys are taken to the riverside very early in the morning for the final ceremony, escorted by the entire village, and must (this the unusual part!) walk back completely naked. After their circumcision they are officially recognized as men of the Bukusu tribe. This practice is one of the important rites of passage in the Bukusu tribe. I hope you enjoyed this exposure to a small part of African culture, our people the Bukusu. 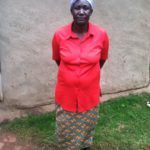 Greetings from one of our Bukusu elders, whose information was instrumental to writing this blog. Here at Kingdom Driven Ministries, we know very well that without our donors and well-wishers nothing could be furthered, nothing could be accomplished, and nothing could be achieved. We hope you will be blessed by this brief report of our May happenings for those in our community and fellowships with medical needs. The month of May had its own ups and downs, especially in the medical department, but nevertheless the end was good and worth reporting about. As usual, the burden of dealing with various patients falls mainly on the old shoulders of our church deacon, Mzee Timothy; however, he enjoys the assistance of other brethren and ministry administration. After few months of moving to and fro with Micah Juma, seeking a right medical facility that could help to remedy his broken leg and examine the conditions of his urethral dysfunction, at last, this month we found redemption for him at one local hospital. 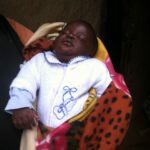 He was attended two weeks back, and we are happy to inform you that the whole process of surgery went well, without any major problems, and Micah’s leg was finally repaired. The surgery to hold the broken bones together by insertion of plate and screw in between the fractured tibia, lasted ten long hours. Unfortunately a few day after the surgery, he was reported to have some minor discomfort, which forced us to return him back to the hospital again. He has been re-admitted for one or two more weeks, but it is our prayer and desire that he will finally emerge a healthy and strong young man. 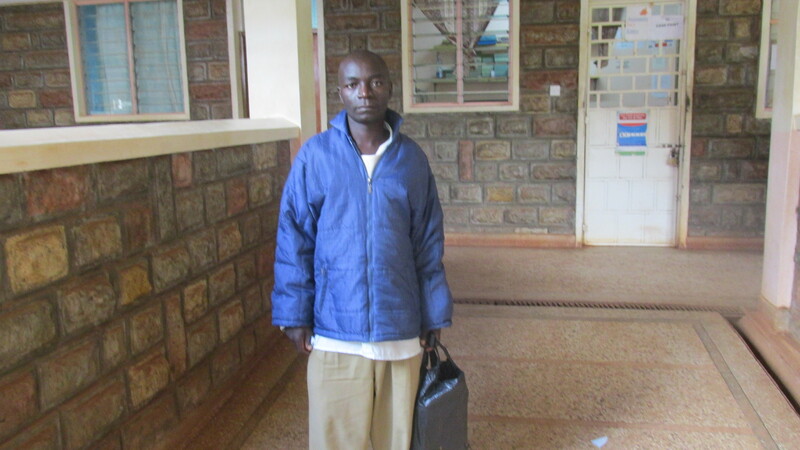 We also took our patient, Anthony Mirundu, to one of the local mission private hospitals for initial examinations. 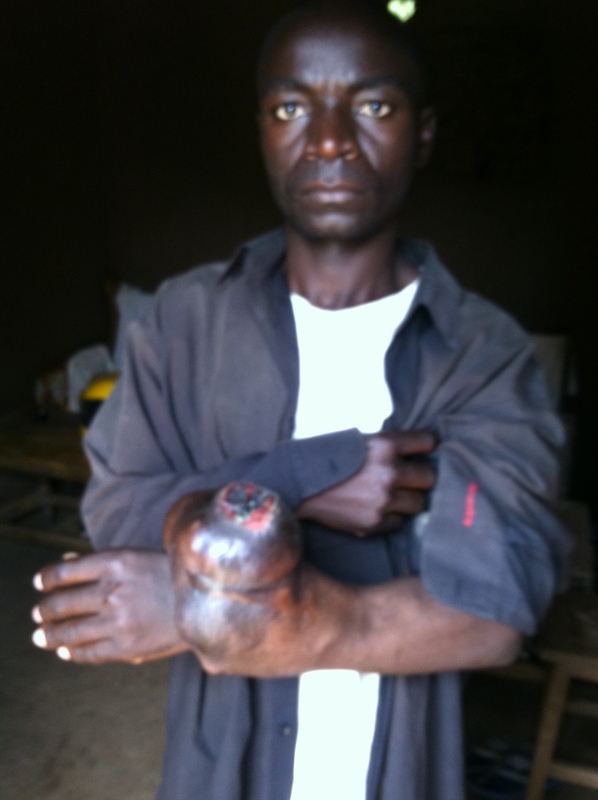 Anthony came to us with growths on his wrist, which we learned was a malignant bone tumor. Unfortunately the doctors at Dreamland, being unable to do a likely necessary amputation, referred us to Webuye Hospital. 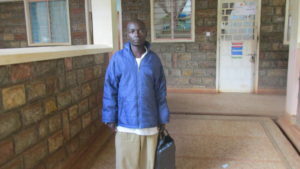 Therefore, this month our Mzee Timothy has been a frequent visitor in Webuye Hospital! After Anthony’s blood test, to find out if the malignancy has spread to other parts of the hand, we will meet and discuss treatment options with the surgeon. His followup appointment is scheduled for Wednesday, June 8; please keep that in your prayers. 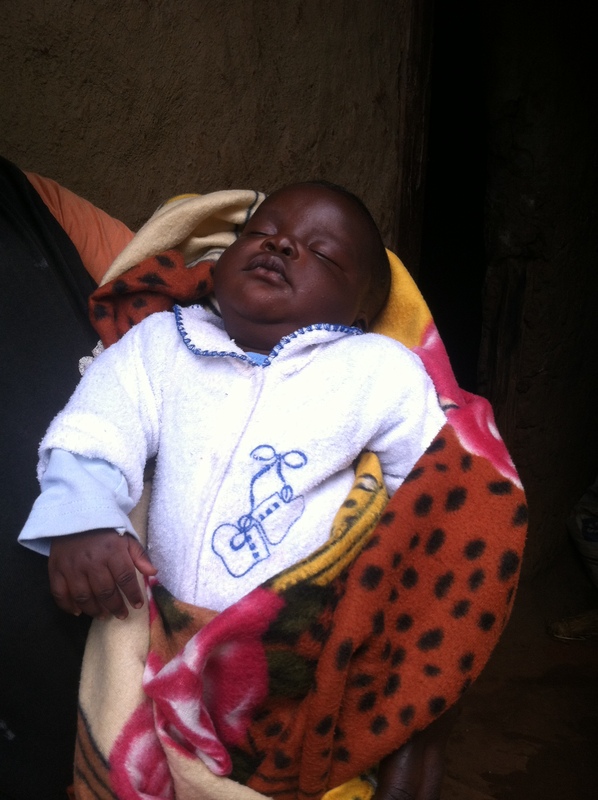 As far as regular medical needs, perhaps our most disturbing case this month was that of four year-0ld Brandson. Unfortunately, it is culturally the norm here for a man to take more than one wife; when he does, his children typically remain with the first wife or her family. In the case that no caregivers are available for the children of a previous wife, they are taken into the second family circle but are typically not well-treated. Imagine a mangy cur, unwanted and tolerated only because he provides some minimal security to a family (also common here). This dog is beaten when it approaches people for attention; it is tossed a meager portion of scraps from the family table and expected to forage elsewhere to satisfy his grumbling stomach. He coat is matted and sparse; his ribs betray the reality of his condition. Such is not far from the condition of a step-child. And of course there were the usual cases of malaria and typhoid, as well as dog bites, severe headaches, stomach upsets, and joints dislocations. Most of these minor needs were treated at our local clinic. 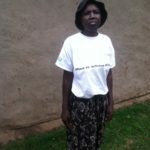 The cases of malaria and typhoid–names to put to your prayers and our thanks–are Benjamin Makhoha, Naomi Naliaka, Florence Nafuuna, Junior Wafula, Silas Juma, Annet Nafuna, Brenda Nanjala and many others. Kingdom Driven Ministry thanks all of you who have supported us this past month of May; receipts totaled $636 this month—one of our biggest in recent history. You have helped us to serve and bring hope to all those that came our way. Let us enter a new month of June with the same zeal and strength. As we at Kingdom Driven Ministries pursue the Great Commission–making disciples and teaching them to obey Jesus–we have made reaching the young people in our community one of our priorities. Young people have great potential to impact the Kingdom with the energy of youth and gifts that God has given them. For the past few years, we have initiated different programs in an attempt to influence and direct the lives our fellowship’s youth (which here is anyone under age 35!). It has not been an easy task to disciple this sensitive and vital group of young people. Over the years, the group has fluctuated in size and changed in dynamic, but they continue to press on toward the goal of knowing Christ and serving one another. Monthly teachings, discipleship and evangelism training, Saturday Bible studies, and Sunday fellowship are all among the core spiritual practices for the young people in our ministry. Monthly teachings have been utilized for the purpose of shedding deeper light on the teachings of the kingdom, usually with the goal of uniting members from different churches and localities. Discipleship and evangelism training prepare and equip the young saints for the harvest work, because the harvest is plentiful, but the workers are scarce. Our Saturday youth meetings have been perhaps the most consistent means of spiritual growth and fellowship for youth. This is an interactive fellowship where the focus is on the Scriptures and issues relevant to youth. Lately, we have begun going through our Discovery Bible Study (which you also can download for free here.) The study being an interactive one, it boosts their ability to debate and support their convictions and faith in Jesus, based on their understanding and knowledge of the Bible. These young people also attend their local home fellowships every Sunday, and have an opportunity share their discoveries with the whole body of Christ. A number of collective youth projects have been initiated over the years, with the aim of uniting the young people and teaching them the power behind cooperation. 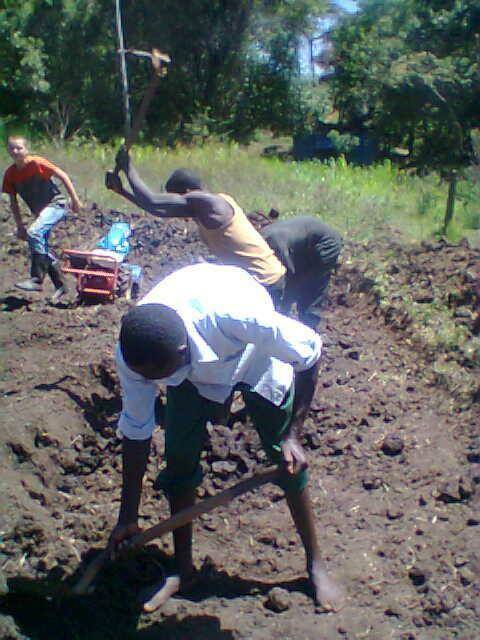 Digging a fish pond was among the major projects that the youths have invested their time and energy in. 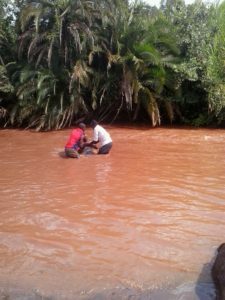 KDM assisted with the initial investment, the youth provided the ongoing labor, and the proceeds from the sale of the fish harvest was divided equally among all the young people that were involved in the project. All the training, all the job opportunities provided, and all the projects initiated, have helped our youth to grow, unite, and expand and share the kingdom of God. We pray that the Lord will strengthen us, and place us in a position to do more and better for the glory of His Holy name. Sunday is one of the busiest days for the people of our small village. 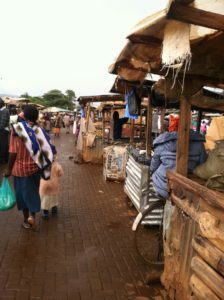 Besides being a worship day, it is also a market day. 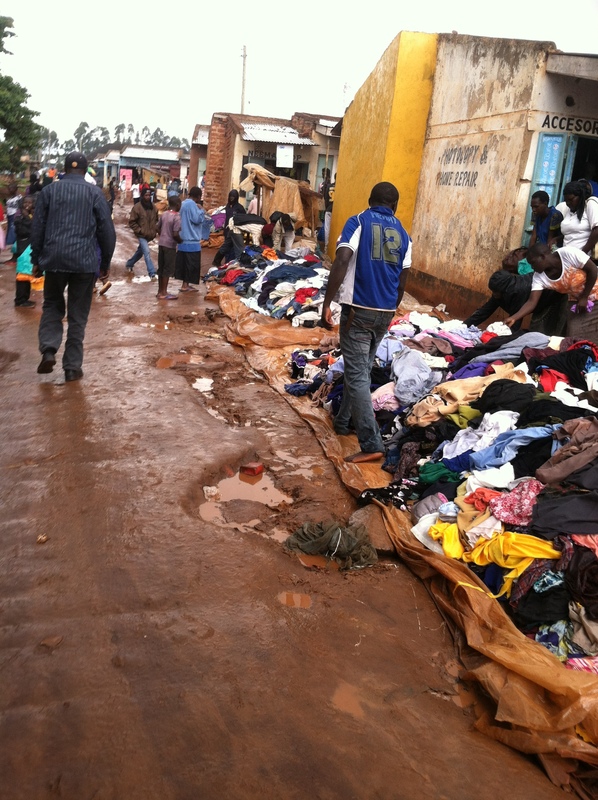 In many African towns and villages, there is a special day where all people gather together in a central location to purchase the goods they need. 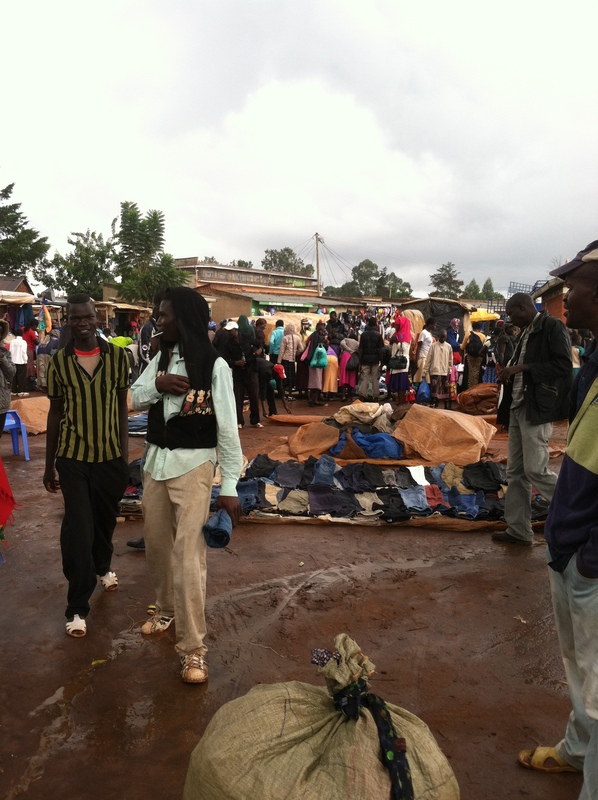 These special locations are commonly known as market centers, while the day is known as market day. Market centers have existed in many of African societies from ancient days. In those days, various communities would gathered together in a chosen and strategic location on a special day, for the purpose of exchanging goods and services. 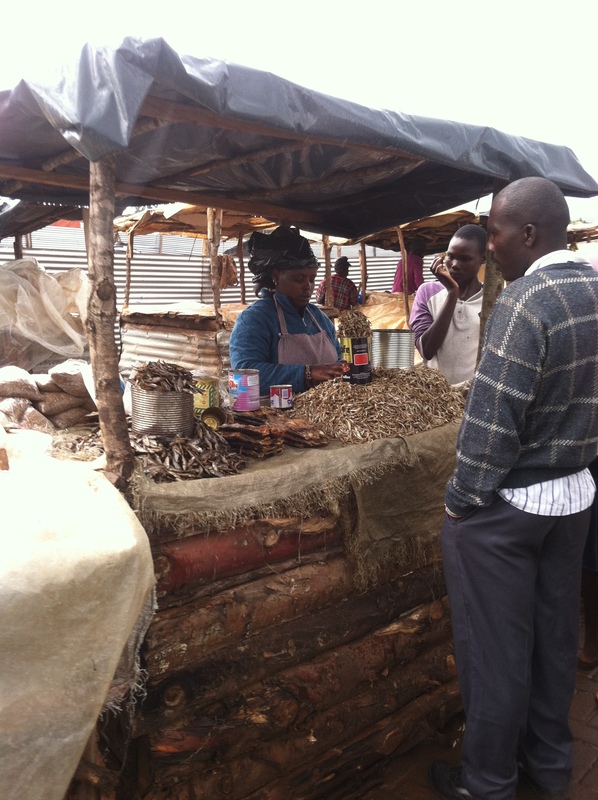 This system of trading was referred as the barter trade system. Barter is a system of exchange where goods and services are directly exchanged for other goods or services, without using a medium of exchange such as money. These barter days were also known as ” silent trade,” because every community had their own native language and there was no common language; thus, trade was conducted with very little exchange of words. During the times of trade, it was the main duty of the local chief and the village elders to identify the best locations and separate the special days for this activity. When regional trade came into existence, communities were forced to select another location which was easily accessible by all the communities involved in the trade activities. This was the beginning of the modern trade centers and market days. Every region had its own trade centers and specific days to meet. As well, different communities had their own unique commodities that were their trademark. This specialization is what gave rise to these market centers. One group were well-known producers of farm produce, while their neighbors would only produce animal products. Communities along water bodies were known for fishing, while their neighbors were gifted in art and crafts. For these communities to easily benefit from the diversity of production, it was a must for a common and special location and day to be established. 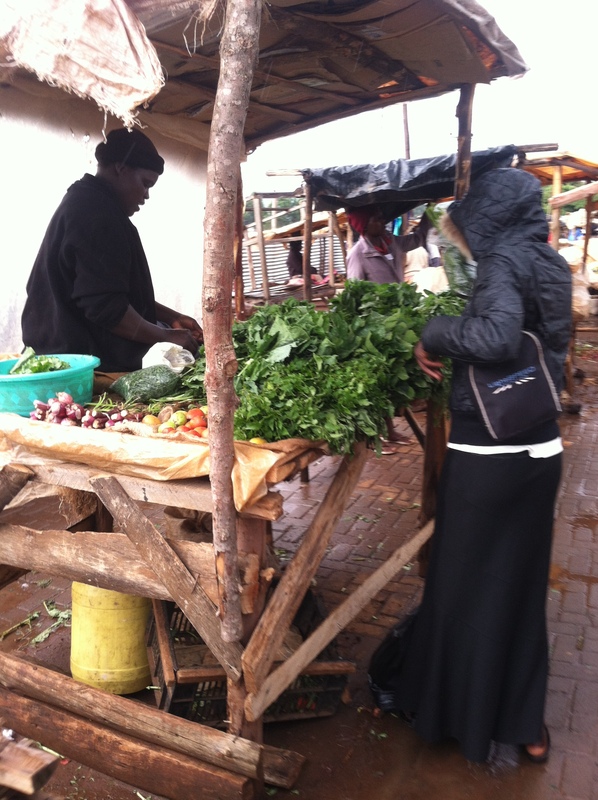 Our village market center is among the oldest markets that emerged as a result of this ancient trade practice. Unlike the ancient times where trade was through barter, today people gather from different communities every Sunday to exchange and buy services and goods using the medium of money. 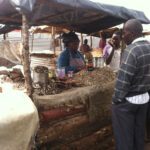 Traders from different communities bring their products every Sunday morning for the purpose of selling or exchanging them, or in some special situations they will return to the old practice of barter. Farmers will bring their farms’ produce: grains, vegetables, eggs, and fruit. You will find also different household stuffs: plastic furniture, clothes and shoes, kitchen utensils and items, bedding materials. This is also a good day for different fundis, (or, “experts” in Swahili) to market their services. 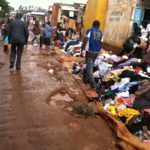 These include: mechanic, boda boda (motorbike) transport, barber services, shoe repair, tailoring, local medicines, and many more. Market days are not always peaceful and orderly. 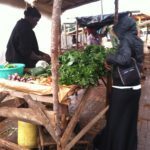 Because many people from different communities are present in the market center, it is not uncommon to witness incidents of violence, chaos, theft, physical and verbal abuse, sexual harassment, and other forms of vices. 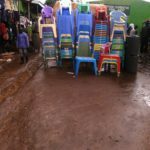 Nonetheless, the county government has always striven to provide a conducive atmosphere and suitable trade environment by employing security personnel during market days. This is to ensure that trade is not disrupted and also to check upon the hygienic condition of the market and the quality standards of the products in the market center.